Wednesday January 23, 2019: Jordan questions Peter about Lulu's attack, Charlotte learns her mother was hurt, Finn discovers what caused Ryan's blindness, and Lulu survives surgery. Jordan arrives at GH, where Laura and Sonny are waiting for news on Lulu. 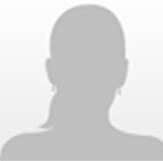 She briefs Laura on the investigation and the partial shoe print they found, and the links to the other killings such as Lulu’s missing license. Laura asks for Lulu’s phone in order to contact Dante, but Jordan explains it is evidence and they have followed up with everyone she talked to before the attack but one. In his room, Ryan wakes up screaming from a nightmare, and he claims it was about poor Lulu and her tragic death. Ava tells him she isn’t dead yet and is in surgery. In the hall, Anna wonders to Finn about the chances of two healthy people suddenly going blind. They go into see Ryan and tell him about Anna’s recent temporarily blindness due to a rare virus, which he may also have contracted. They ask if he ever worked for the WSB or DBX, which he confirms he hasn’t. Finn asks prior to the blindness had he come across anything foreign or strange, but he doesn’t believe so. He tells hem he’s not feeling so well and would like to rest, so Anna and Finn depart. Ryan convinces Ava to go get him a tea and find out about Lulu. She leaves, and he crawls out of bed and searches his coat, but fumbles and drops Lulu’s license, which was in his pocket. As he is able to grab it, Ava returns to find him on the floor and inquires if he is okay. 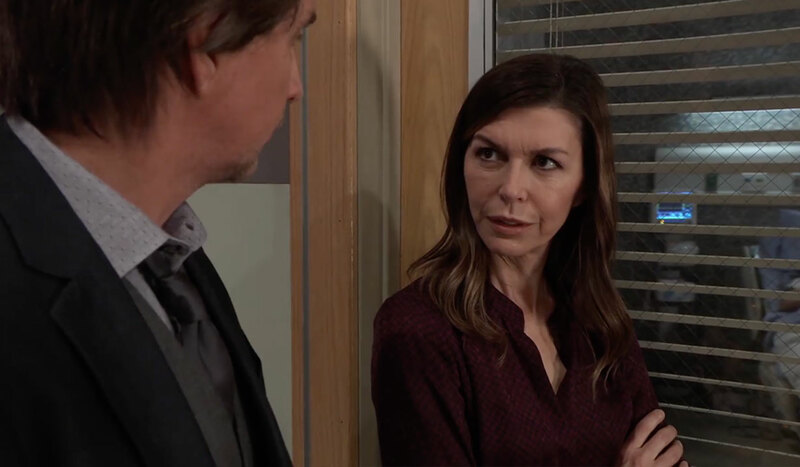 Meanwhile, Anna and Finn connect with Laura and Sonny in the hallway, and Anna expresses how sorry she is about Lulu. Sonny asks Anna if she knows where Peter is. At Kelly’s, Valentin and Nina break the news of Lulu being hurt to Charlotte. Charlotte begs to see her mother, and Valentin eventually agrees to take her to the hospital. 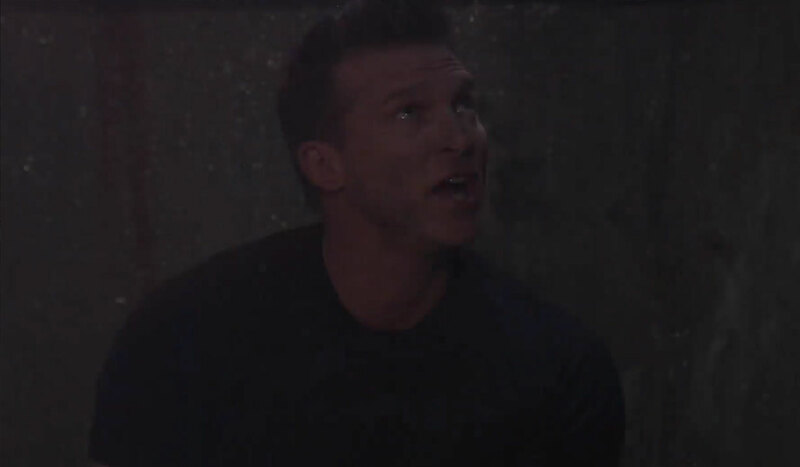 Jason comes to in the catacombs as Sam shouts down to him from above, but they can’t hear one another. The fire department arrives, and Sam fills them in on Jason’s fall. Down in the catacombs, Jason begins searching for a way out, while up above the fire fighters explain to Sam that the catacombs are too deep for them to reach, so they are bringing in specialized equipment. They also are searching for maps of the tunnels, which are hundreds of years old. Sam calls Spinelli in hopes he can hack into the city and locate the maps quicker. Spinelli locates a map of a set of old tunnels near where they are that leads to the pier. 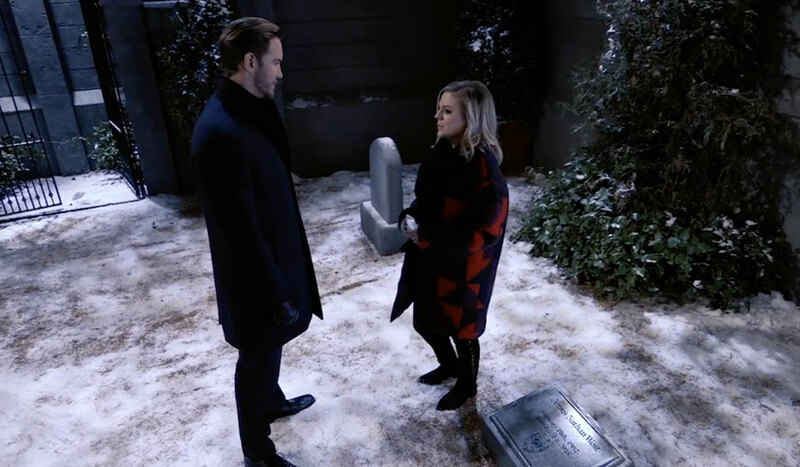 Maxie visits Nathan’s grave and tells him about James, and that she’s been getting closer to his brother Peter. She knows Nathan would want her to move on, but she doesn’t know how she does that. She admits she’s scared to let someone in and care again. She asks Nathan for a sign. Peter arrives, and he tells her that he too visits Nathan from time to time to talk. Maxie wonders when her grieving will end. Peter feels at some point Nathan will let her know in his own way that it’s okay to let go, and Peter is sure that Nathan would want her to be happy. Nina arrives, tells Maxie she’s been looking for her, and informs her of Lulu’s condition. Maxie and Peter rush off, and Nina spends time talking to Nathan’s grave. Back at GH, Anna learns that Peter was the last person Lulu spoke with, and the cops want to question him. Valentin arrives with Charlotte, and Laura speaks with her granddaughter about her mother. She explains it may be a while before they can see her and she should go home but is sure her mother will pull through. Meanwhile, Peter and Maxie arrive, and Jordan asks Peter for the details of his last conversation with Lulu and where he has been the past four hours. He explains he was at Lucy’s party earlier, took a walk after, and his phone call with Lulu was about his decision to not let her publish a new story about the killer. In Ryan’s room, he claims to Ava he dropped the TV remote and was looking for it. She helps him up as Finn returns with “Kevin’s” labs and some answers. “Kevin” contracted the same virus that affected Anna, which means his sight can be restored. 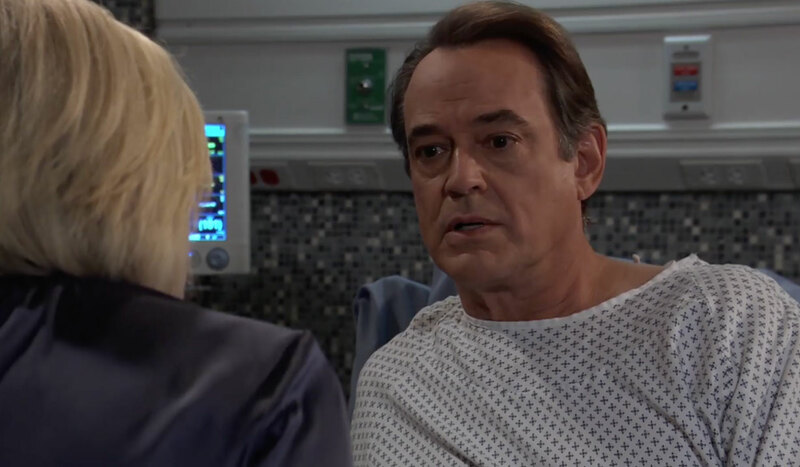 Elsewhere, a doctor gives Laura and Sonny the news that Lulu will make a full recovery. Back in Ryan’s room, Finn also gives Ryan and Ava the news that Lulu has pulled through. Sam heads to the pier, sees Jason in the water, and dives in. Jake asks Franco if he’s crazy. Oscar tells his mom that he has no regrets. Joss cries that she is sorry. On the phone, Carly asks someone to promise her that they aren’t dying. Mike and Stella talk, and he thinks she’s getting married. Sam tells Jason that he’s coming home with her.